10 tips for making sure this guy doesn’t snag your hot rod. What’s a classic car enthusiast to do? While you can certainly install a modern security system and/or a vehicle location system (like LoJack), there are some simple things every classic owner can do to protect their ride. Here are the top 10 simple things you can do to keep your classic where it belongs. Most US police officers and border patrol agents know and recognize this sticker. Believe it or not, there’s a federally sponsored anti-theft program in the United States that’s available in most states called “Watch Your Car.” The concept is simple – you put a slightly conspicuous sticker in the front and rear windows of your car, and that sticker tells any law enforcement officer that your car doesn’t usually travel late at night and/or across national borders. Most states have “Watch My Car” programs, and both local officers and border patrol officers are trained to look for this sticker. If they see this sticker on a car crossing a border or driving in the wee hours of the morning, they can pull the car over and verify vehicle ownership. To enroll your car, just contact your local police department or state patrol and ask about a “Watch Your Car” sticker program. Enrollment is usually free or very very cheap. A car in a closed and locked garage is hard to steal. First, it’s hard for thieves to steal a car that they can’t see driving down the road. Second, even if they get into the garage, they’ve got to get it open and get the car out without being caught. That’s a lot of “stuff” that has to go just right in order to be successful. For most thieves, stealing a car out of a garage is just too hard to justify. It’s much easier to poach a car that’s parked in someone’s driveway or parked out on the street. The number of vehicles stolen because their owners decided to leave them unlocked with the keys “hidden” under the mat or in the visor (as if no thief would look in these places) is nothing short of astonishing. According to the National Highway Safety and Transportation Administration, 40-50% of car thefts occur because drivers forget to lock up and leave the keys in the car! Often times, classic owners decide to leave their vehicle unlocked, the thinking being that they don’t want thieves to damage the vehicle trying to enter it. While there are some positives to this approach, there’s no getting around the fact that your door locks are a theft prevention mechanism. If you leave the doors open, your vehicle is a little easier to take. 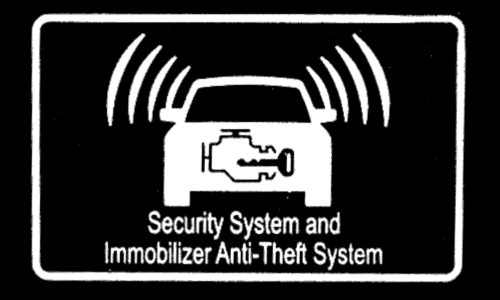 A sticker indicating that your vehicle is equipped with some sort of anti theft device or tracking device is a simple, low-cost security precaution. A car thief may think twice about boosting a car that sports a simple little understated sticker. The more “official” looking the sticker, the better. Of course, if you actually have an alarm system, that’s even better. But this is easy, cheap, and simple, so it’s on our list of tips. So called ‘smash and grab’ thefts are common but easily prevented. These days, we carry a lot of valuable electronics with us everywhere we got (iPods, tablets, phones, laptops, GPS units, etc.) An iPad that’s plainly visible resting in the backseat – or a plainly visible laptop bag behind the front seat – are tempting to petty criminals who feel confident they can break into an older vehicle. Stolen electronics are easy to sell on eBay or Craigslist, and some older cars are very easy to break into. The solution? Lock everything out of sight or in the trunk when you leave your car in a parking lot. Even if you’re just running into the coffee shop or gas station real quick, put your gear out of site. Petty thieves generally won’t mess with your car if they don’t see any obvious benefits to doing so. This tip might sound weird, but there’s logic to it. Essentially, thieves are looking for cars that aren’t likely to have alarms, that aren’t likely to have fancy GPS trackers, etc. 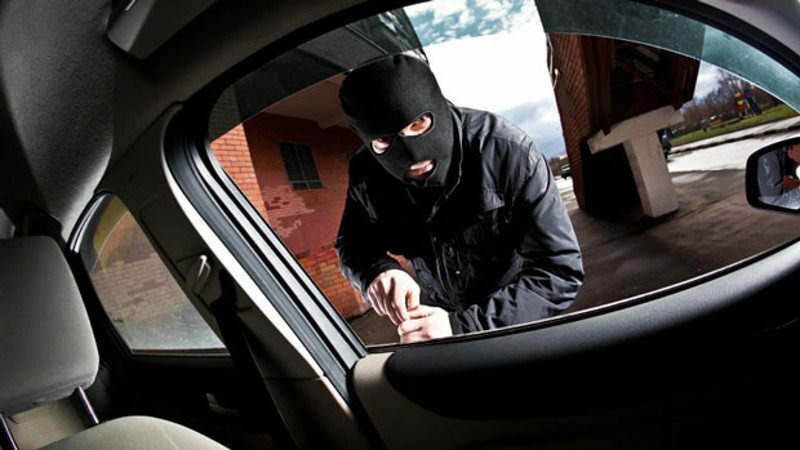 If your vehicle looks clean, tidy, and well cared for, thieves are more likely to believe the car has some sort of protection. While most classic car owners strive to keep their vehicles tidy and clean, it’s an important point to remember if you’re driving a rat rod and/or if you’re parking your mid-project vehicle in a public place. A thief could easily mistake a car waiting on some paint and body work for a poorly maintained car no one will miss. Avoid alleyways, questionable-looking parking areas, areas with little or no traffic (driving or foot traffic), and areas that are poorly lit. If you’re going somewhere and unsure about parking, for example, it might be a good idea to leave your classic at home. Generally speaking, you should try to park in a garage with security, a private garage, or in a well-lit public place with lots of traffic. If you need to leave your classic somewhere and you’re in a bind, grocery store and WalMart parking lots are generally pretty safe. Grocery stores are busy just about 24 hours a day (at least in larger cities) and WalMart parking lots feature security. It might sound extreme, but it’s fairly easy to remove a steering wheel on older vehicles, and it’s an excellent theft prevention tool, as it means a potential thief is going to have to tow your vehicle if they want it. Of course, if you crank your wheels before you remove the steering wheel, towing your vehicle becomes that much more difficult. Guess what? If your vehicle won’t start, it’s a lot harder to steal. 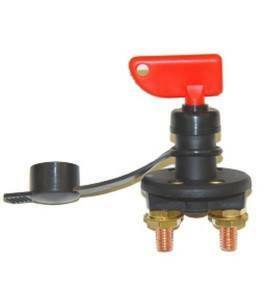 A simple little master disconnect switch like this one makes car theft significantly more complicated. Even if the potential thief figures out you have a kill switch, it will take time and effort to find and bypass. Of course, it’s easy for the vehicle owner to enable and disable as needed. NOTE: All automotive wiring harnesses sold by Hot Rod Wires feature a built-in hidden theft deterrent similar to a kill switch, but different. Yet another great reason to buy your wiring harness for us, right? 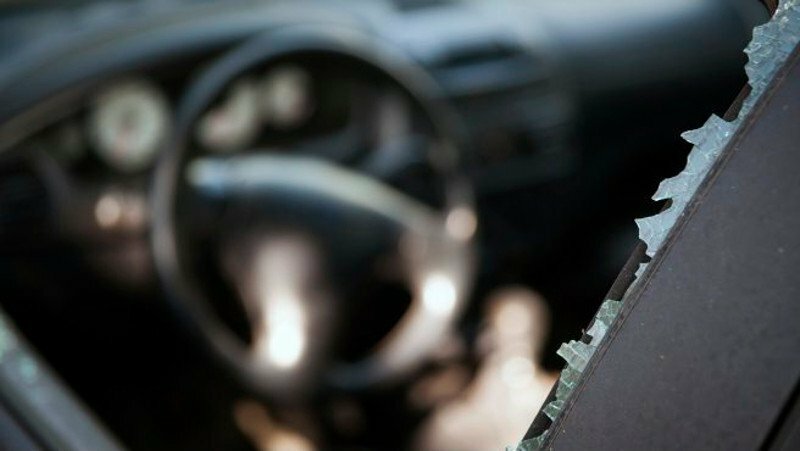 It’s a sad state of affairs when many self-respecting car thieves don’t know how to drive a vehicle with a manual transmission, but here we are. Survey after survey shows that many US drivers don’t know how to drive a stick shift. Somewhere between 40% and 50% of all drivers have no idea how to drive a stick, and a good percentage more don’t feel comfortable driving a stick. Odds are good that many thieves don’t know how to drive stick shifts as well. If you drive a classic car with a manual transmission, you’re cutting the number of crooks who could even drive it way down. No one is going to try to drive a manual transmission in a getaway vehicle!